At Amrita, companies vie with each other to be the early birds for hiring, thanks to the quality of students, past and present. Our alumni have created such a great impression in the minds of their employers through hard work, commitment and a rare sense of dedication to the profession that all our past recruiters come again and again to recruit, their offtake increasing with each passing year. 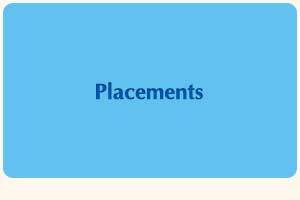 Placement for students of engineering, arts, science and allied courses are handled by one group of experts with Head-Placement at the top. Ensuring summer and winter internships and final placements of students from all branches of Amrita Schools of Engineering as well as Arts and Sciences, Communication, Social Work and Biotechnology, in reputed organisations. Improving the quality of placements in terms of job opportunities, companies of relevance that visit the campus and the highest and average salaries. Enhancing industry-academia association through frequent visits, interactions with the top management and facilitation of Faculty Development Programmes, Student Visits, Industrial Training, and Project Guidance under Corporate Action Plan. Updating / reviewing the placement policy in terms of number of opportunities, career options, etc., from time to time (The latest Placement Policy). Utilising the vast network of alumni, the corporate relations departments of sister institutions / other campuses and eminent personalities who are devotees of AMMA, for the benefit of students. Obtaining feedback from employers on the performance of students to enhance the quality of students. Obtaining feedback from employers on the performance of alumni and any other information that is relevant for upgrading the course content / syllabus. Assisting in improving the employability of the students by organising special training with the help of experts from industry. Building rapport with the top management of companies by organising visits of CEOs, COOs, Presidents, VPs and GMs to the university. Placements at Amrita have always been excellent. 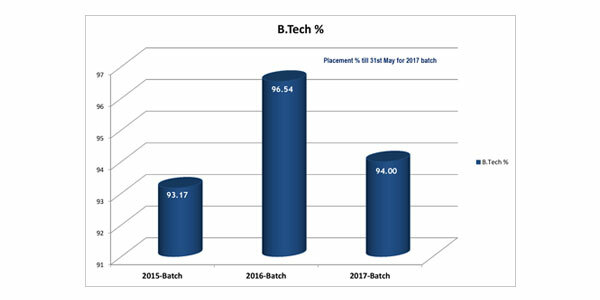 Be it Engineering or Arts and Science, students who are eligible and opt for placements have more than one job offer, on an average. Exercising their dream option, some of them have upto three job offers. Over 200 companies in the campus. 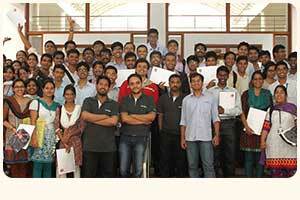 Dream option available for placed students to go for higher packages / better job profiles. Average salary is Rs. 4.6 Lakhs per annum. Highest CTC offered Rs. 25.16 Lakhs per annum. Coimbatore - 641 112, Tamil Nadu. Bangalore - 560 035, Karnataka. Kochi - 682 024, Kerala. Kollam – 690 525, Kerala. 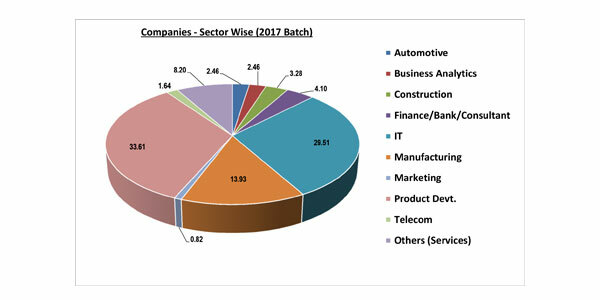 During the year 2017 - 2018, 114 companies visited Amrita School of Business (ASB) for placements and 261 students were placed. The average salary (CTC) offered was INR 6.61 lakhs per annum and the highest being INR 12.10 lakhs per annum. The batch of 2016 - 2018 have been placed in organisations of quality and diversity facilitating excellent job profiles and career growth. Bengaluru - 560 035. Karnataka. Kochi – 682 041, Kerala.